1) (Canterbury and Lewisham, co. Kent; granted 1533). Ar. a chev. sa. on a chief of the second three martlets of the first. Crest—An eagle displ. or, beaked and meinbered sa. (Since that this family bear other crests, viz.. On a chapeau gu. turned up erm. a stag couchant ppr. ; and, A lion sejant guard. gu. holding betw. the paws an escutcheon ar.). 2) (Nettleworth, co. Nottingham). Or, a fess betw. three bucks’ heads erased sa. Crest—A demi stag couped sa. ducally gorged or. 3) (Costock, co. Nottingham). Erm. a fess engr. betw. two bucks’ heads erased in chief and an escallop in base sa. Crest—A demi buck springing sa. guttee d’or, attired and unguled or, and resting the dexter foot upon an escallop gold. 4) Ar. a chev. sa. on a chief gu. three martlets of the first. Crest—A lion pass. gu. resting the dexter paw on an escutcheon ar. 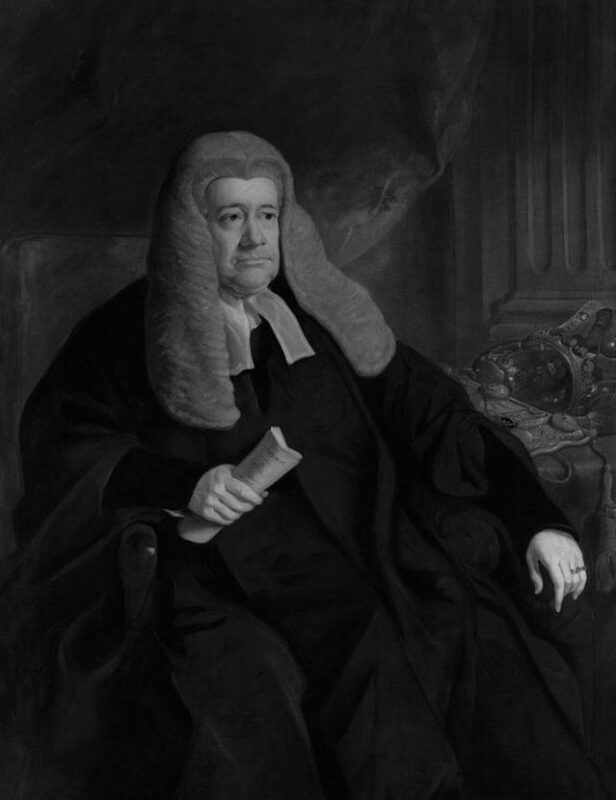 5) (Bagnall-Wild, Costock, co. Notts; exemplified to Ralph Bagnall Kirk by, Esq., Barrister-at-law, on his taking the surname and arms of Bagnall-Wild). Quarterly, 1st and 4th, Wild, erm. a fess engr. betw. in chief two bucks’ heads erased and in base an escallop all sa. ; 2nd and 3rd, Bagnall, or, two bars erm. a lion ramp. az. betw. two flaunches of the last. Crests—1st, Wild: A demi stag sa. guttee d’or, attired and resting the sinister foot on an escallop or; 2nd, Bagnall: Upon the trunk of a tree fesswise eradicated and sprouting ppr. an heraldic antelope sejant az. bezantee, gorged with a collar gemel and horned or. Motto—Sur et loyal. 6) (Baron Truro). Erm. on a cross sa. a plate, a chief of the second charged with three martlets ar. Crest—A hart lodged with a rose in the mouth all ppr. Supporters—Two ermines ppr. Motto—Aequabiliter et diligenter. 7) (Baron Penzance). Erm. on a cross sa. a plate, a chief of the second charged with three martlets ar. Crest—A hart lodged holding in the mouth arose all ppr. Supporters—On cither side a bull reguard. ar. each gorged with a collar vair, chain reflexed over the back or. Motto—Veritas victrix. 8) (Long Whatlon, co. Leicester; granted 1743). Ar. a chev. engr. ermines, on a chief sa. three martlets of the first. 9) (London). Az. a fess nebulee betw. three crescents erm. Crest—A wyvern sa. guttle d’or, collared and lined gold. 10) Az. a fess wavy or, in chief three crescents erm. 11) (co. Nottingham). Sa. a chev. engr. ar. on a chief of the second three martlets of the first. Crest—A demi buck salient sa. attired and ducally gorged or. 12) (bart. 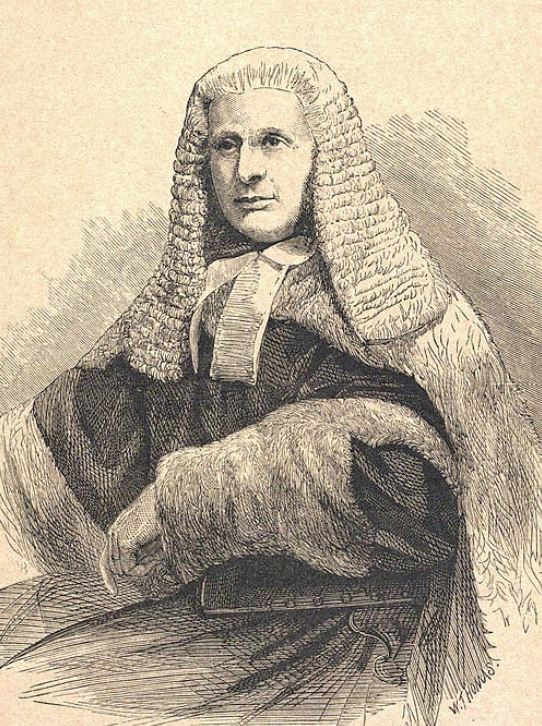 extinct; Sir William Wilde, Recorder of London, and subsequently a Judge of the King’s Bench, was created a bart. in 1660; his son and heir. Sir Felix Wilde, second bart., left a dau. 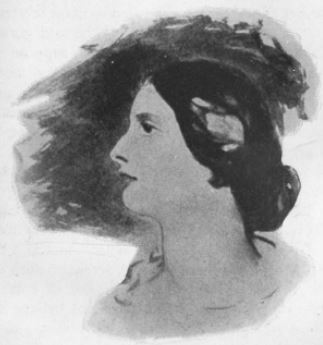 and heiress, Anne, wife of John Cockman, M.D.). Af. a chev. sa. on a chief of the last three mullets or. 13) (Thimblethorpe, co. Norfolk). Ar. a fess and in chief three martlets sa. a border engr. of the last. 14) (George Wilde, Bishop of Derry, 1661, d. 29 Dec. 1665, buried in Christ’s Church Cathedral, 12 Jan. following; Fun. Ent. Ulster’s Office, 1666). Gu. a snake nowed or, betw. three doves volant ar..
15) Wild – Ratisbonne – D’or à une chausse-trape d’azur Cimier une tête d’homme de carnation posée de profil coiffée d’un bonnet d’or retroussé d’azur. English: Or with a caltrap azure; Crest: a head of a man carnation, placed in profile, wearing on the head a hat or, turned up azure. 16) Wild – Fribourg – D’azur à un sauvage issant de carnation ceint de lierre posé de front supp de sa main dextre un croissant d’or et de sa senestre une étoile (5) renversée du même. English: Azure with a savage issuant carnation, belted of ivy, placed facing forwards, holding in his dexter hand a crescent or, and in his sinister an estoile of 5 points reversed of the same. 17) Wild – Saint-Gall – D’azur à un sauvage de carnation ceint et couronné de lierre posé de face tenant une massue posée sur son épaule Cimier le sauvage issant Lambrequin d’argent et d’azur. English: Azure with a savage carnation, belted and crowned of ivy, placed facing forwards, holding a club, placed over his shoulder; Crest: the savage issuant; Mantling: argent and azure. 18) Wild – Ratisbonne – Parti d’or et de sable à un chevreuil passant au naturel brochant sur le parti et posé sur un tertre parti de sable et d’or Cimier le chevreuil issant entre deux proboscides d’or et de sable. English: Per pale – or and sable, with a roe deer passant proper, covering over the partition line and placed on a hillock per pale – sable and or; Crest: the roe deer issuant, between two proboscides – or and sable. 19) Wild – Fribourg – D’azur à un croissant d’or à la bordure du même. English: Azure with a crescent or, a bordure of the same. 20) Wild – Bavière – De sable au chevron crénelé et haussé d’or acc en pointe d’un sauvage issant de carnation ceint et couronné de lierre mouv de la pointe tenant une massue au naturel posée sur son épaule Casque couronné Cimier une queue de paon au naturel Lambrequin à dextre d’or et de sable à senestre d’argent et d’azur. English: Sable a chevron embattled on the upper side and raised or, accompanied in base by a savage issuant carnation, belted and crowned of ivy, coming from the base, holding a club, placed over his shoulder, all proper; Crowned with a helmet – Crest: the tail of a peacock proper; Mantling: to the dexter – or and sable, to the sinister – argent and azure. 21) Wild – Bâle – D’or à la bande d’argent acc en chef d’une boule du même à la bordure aussi d’argent Cimier un buste d’homme barbu habillé aux armes de l’écu (moins la bordure) couronné de feuillage de sinople Lambrequin d’argent et d’or. English: Or a bend argent, accompanied in chief by a ball of the same, a bordure also argent; Crest: the bust of a man bearded, dressed with the arms from the shield (without the bordure), crowned with leaves vert; Mantling: argent and or. 22) Wild – Franconie – De gueules à une fasce émanchée d’argent sur azur Casque couronné Cimier deux proboscides aux armes de l’écu ornées chacune dans son embouchure d’une boule d’argent. English: Gules with a fess point in point (per fesse indented) argent over azure; Crowned with a helmet – Crest: two proboscides with the arms of the shield, decorated each in its mouthpiece by a ball argent. 23) Wild – Berne – D’argent à un sauvage de carnation ceint et couronné de lierre posé sur un tertre de sinople tenant dans son bras une massue soutenue du sol. English: Argent with a savage carnation, belted and crowned of ivy and placed on a hillock vert, holding in his arm a club, supported by the hillock. 24) Wild (de) – Hollande – Parti au 1 d’argent à quatre croisettes de gueules rangées en pal au 2 coupé a d’argent à une tête de More tortillée d’argent b d’argent à quatre croisettes de gueules rangées en fasce. English: Per pale: 1st argent four crosslets gules, arranged palewise; 2nd per fess: a) argent with the head of a Moor, wreathed argent; b) argent four crosslets gules, arranged fesswise. 25) Wilde – Londres – (Baronet, 13 sept. 1660. M. ét.) – D’argent au chevron de sable au chef du même ch de trois martinets d’or. English: Argent a chevron sable, a chief of the same charged with three martlets or. 27) Wilde – Stralsund – (An., 4 août 1855) – D’azur à deux masses d’armes d’argent passées en sautoir acc de trois trèfles du second 2 en flancs et 1 en pointe les deux trèfles des flancs posés en fasce et celui en pointe renversé tous les trèfles mouv par la tige du point d’intersection des masses d’armes Cimier une masse d’armes d’argent posée en pal entre un vol d’azur chaque aile ch d’un trèfle d’argent la queue en bas. English: Azure two maces argent, placed saltirewise, accompanied by three trefoils of the second – 2 in the flanks and 1 in base, the two trefoils in the flanks placed fesswise and the one in base reversed, all the trefoils coming out of the point of intersection of the maces; Crest: a mace argent, placed palewise, between a pair of wings azure, each wing charged with a trefoil argent, their stems downwards. 28) Wilde – Baron Penzance – Cornouailles – (Baron, 6 avril 1869) – D’hermine à la croix de sable ch d’un besant d’argent au chef du second ch de trois martinets d’argent Cimier un cerf couché au naturel tenant entre ses dents une rose de gueules tigée et feuillée de sinople Supports deux boeufs regardants d’argent colletés de vair enchaînés d’or Devise VERITAS VICTRIX. English: Ermine with a cross sable, charged by a roundlet argent, a chief of the second, charged by three martlets argent; Crest: a stag laying on the ground proper, holding between its teeth a rose gules, stemmed and leaved vert; Supporters: two oxen [with tails pendant] reguardant argent, collared vair, chained or; Motto: VERITAS VICTRIX. 29) Wilde – Baron Truro – Londres – (Baron, 15 juillet 1850) – D’hermine à la croix de sable ch d’un besant d’argent au chef du second ch de trois martinets d’argent Cimier un cerf couché tenant entre ses dents une rose le tout au naturel Supports deux hermines au naturel Devise AEQUABILITER ET DILIGENTER. English: Ermine with a cross sable, charged by a roundlet argent, a chief of the second charged by three martlets argent; Crest: a stag laying on the ground, holding between its teeth a rose, all proper; Supporters two ermines proper; Motto: AEQUABILITER ET DILIGENTER. 30) Wilde – Hollande – D’or à la fasce entée de gueules (Arm v G). English: Or a fess nebuly gules ( Arm v G ). 31) Wilde (de) – P. d’Alost – (An., 8 janv. 1664) – D’argent (ou d’or) au chevron de sable ch de trois étoiles d’or et acc de trois têtes et cols de cerfs du second Cimier un lévrier issant d’argent colleté de gueules bordé et bouclé d’or Lambrequin d’or et de sable. English: Argent (alternatively or) a chevron sable, charged by three etoiles or, and accompanied by the heads ( with the shoulders) of three stags of the second; Crest: a greyhound issuant argent, collared gules, the collar fimbriated and buckled or; Mantling: or and sable. 32) Wilde (de) – Leyde – (Comm. de M. Benier) – Alias De gueules au chevron d’argent acc de trois coquilles d’or. English: Gules a chevron argent, accompanied by three escallops or. 33) Wilde (de) – Leyde – D’azur au chevron d’argent acc de trois coquilles d’or. English: Azure a chevron argent, accompanied by three escallops or. 35) Wilde (de) – Zélande – D’argent au chevron de sable acc de trois têtes et cols de oeuf du même. English: Argent a chevron sable, accompanied by the heads and shoulders of three oxen of the same. 36) Wilde (de) – Ypres – D’or à trois molettes de sable Cimier un sauvage issant de carnation ceint et couronné de lierre tenant une massue posée sur son épaule. English: Or three mullets sable; Crest: a savage issuant carnation, belted and crowned with ivy, holding a mace, placed over his shoulder. 37) Wilde (de) – Tournai – De gueules à trois molettes d’argent. English: Gules three mullets argent. 38) Wilde (de) – Hollande sept. – De sinople à un bouc rampant d’argent accorné d’or Cimier un sauvage issant de carnation ceint et couronné de lierre tenant une massue posée sur son épaule. English: Vert with a goat rampant argent, horned or; Crest: a savage issuant carnation, belted and crowned of ivy, holding a mace, placed over his shoulder. 39) Wilde (de) – Flandre – D’or à une clé de gueules posée en pal le panneton en haut à dextre. English: Or with a key gules, placed palewise, the head of the key upwards to the dexter. 40) Wilde (de) – Flandre – D’azur au chevron d’argent acc en chef de deux étoiles d’or et en pointe d’une tête de léopard du même. English: Azure a chevron argent, accompanied in chief by two etoiles or, and in base by the head of a lion passant guardant of the same. 41) Wilde (de) – Anvers – D’argent à une plante aquatique à larges feuilles de sinople touffue mouv de la pointe et un huchet de gueules brochant sur cette plante Cimier les meubles de l’écu. English: Argent with an aquatic plant with broad dense leaves vert, coming from the base, and a hunting horn [without bands] gules, covering over the plant; Crest: the charges from the shield. 42) Wilde (de) – Gand – D’azur à la croix d’or cantonnée de douze merlettes du même rangées 2 et 1 aux 1er et 2e cantons au 3e canton en bande et au 4e en barre. English: Azure with a cross or surrounded by 12 merlettes of the same, three in each quarter, arranged 2 and 1 in the 1st and 2nd quarters, bendwise in the 3rd quarter and bendwise sinister in the 4th quarter. 43) Wilde (de) – Hollande – D’or au chevron de gueules acc de trois canettes démembrées au naturel becquées de gueules. English: Or a chevron gules, accompanied by three ducks without legs proper, beaked gules. 44) Wilde (de) – Hollande – De gueules au chevron d’or acc de trois molettes d’argent. English: Gules a chevron or, accompanied by three mullets argent. 45) Wilde (de) – Hollande – D’azur à trois épis d’or réunis dans une seule tige et deux feuilles d’argent entre les épis au cor de chasse d’or brochant sur le tout. English: Azure three wheat years or, united in a single stem, with two leaves argent between the tufts, a hunting horn or covering overall. This Anglo-Saxon last name originated from a medieval nickname given to a person who was violent, untamed, wild, rude, uncultivated, savage, boisterous, or fierce in a similar fashion as the French surname Sauvage or Savage. It derives from the Old English word wilde or the Middle English word wilde/wylde, which means “out of control”. Another origin theory is that it is a locational name, given to a person who lived near an uncultivated (wild) plot of land, which was usually used to grazing. There are places in Dorset and Berkshire named as such, deriving from the Old English word wil, meaning snare or trap. The Middle High German wilt or wilde means “strange” or “foreign” and in some cases could be a nickname even to a new person in town. Common spelling variants include Wilde, Whilde, Wylde, Weald, Weild, Wyeld, Weld, Wield, and Welds. Foreign equivalents include Wildert and Wilt (Flemish) and Wilde (German, Danish, and Dutch). The last name Wild is the 4,031th most common surname in the United States according to the 2000 Census, whereas Wilde is ranked 3,210th. It’s most prevalent in New York, Florida, and California. In Germany, the name ranks 358th in popularity and in England, it is the 539th most common surname in the country. In England, it’s most common in Yorkshire, Lancashire, and Tyne and Wear. It’s also fairly dense in the Isle of Man. It’s also present in Australia, Switzerland, and South Africa. In his 1890 book, Homes of Family Names, H.B. Guppy writes “This ancient English name is mostly confined to the northern midlands, its principal homes being in Derbyshire, Notts, and the West Riding, whence it has spread to the counties around. Ulric Wilde was the name of a Domesday tenant; and the surname similarly spelt was represented in Hunts in the reign of Edward I”. The Domesday Book of 1086 AD, which was a survey of England and Wales ordered by William the Conqueror, contains a person named Ulricus Wilde. A one William le Wilde was recorded in the Pipe Rolls of 1177 AD. Henry le Wylde was documented in the Court Rolls of Essex in 1236 AD. William de Wilfe was recorded in the Pipe Rolls of Sussex in 1200 AD. The Hundred Rolls of 1273 AD, a census of Wales and England, known in Latin as Rotuli Hundredorum, documents three people bearing this surname: Emma la Willde in county Oxfordshire, Walter le Wilde in county Suffolk, and William le Wilde in county Huntingdonshire. A one William le Wild was recorded in 1313 AD in the Writs of Parliament. The Poll Tax of Yorkshire in 1379 AD documents Johannes Wylde. Early marriages involving this surname include Rachell Wylde to John Wray at St. Dionis Backchurch in London in 1660. The famous genealogist Bernard Burke’s book “The Landed Gentry” discusses one branch of this family: Bagnall-Wild of Costock Hall, seated in Loughborough. It begins with a mention of Ralph Bagnall-Wild, Esq. of Costock Hall in counties Nottingam. He went to Cauis College and was Barrister-at-Law. 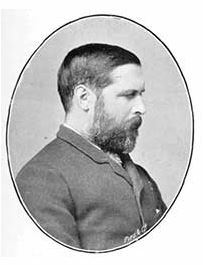 In 1871, he married Alice, the daughter of Richard Adolph Pfeil of Boxgrove and had issue together: Ralph Kirkby and Maude Kirkby. He was the son of William Kirkby and Harriott Ursula Horsman. By his wife Martha Reece of Handley, in 1868, he assumed the surname of Bagnall-Wild by royal license in lieu of his name. 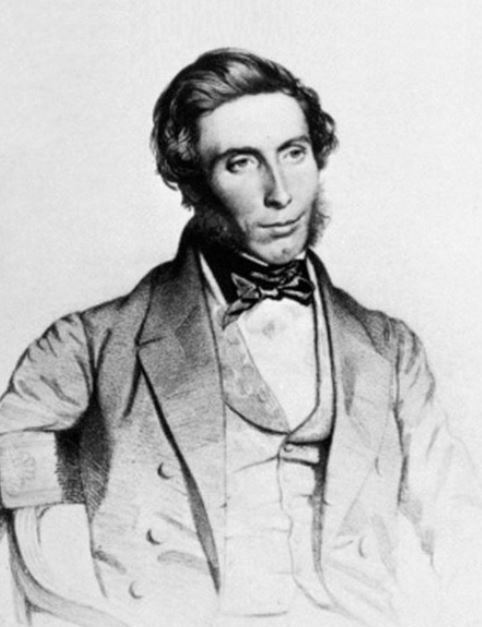 He succeeded the estates of his godfather, Samuel Bagnall-Wild. The family has the following blazon: Quarterly, 1st and 4th, ermine, a fess engrailed between in chied two stag’s heads erased and in the base an escallop all sable; 2nd and 3rd, or, three bars ermine, a lion rampant azure, between two flaunches of the last. Crest: 1st, a demi stag sable guttee d’or attired and resting the sinister foot on a escallop or; 2nd, an heraldic antelope segant azure bezanete gorged with a collar gemel and horned or. A one Klaus Wilhelm “Niklaus” Wild was born in 1510 and in 1529 he married Anna Swingli. They had the following issue together: Hans, Heinrich, Klaus, Peter, Elsa, Bartholome, Anna, Jacob, and David. His son Bartholome was born in 1550 and he later married Margreth Fries and had two children with her: Hilarius and Nicklaus. Hilarius was born in 1565 and married Sara Trumpy. He was the father of three children: Caspar, Nicklaus, and Jacob. Caspar Wild was born in Glarus, Switzerland in 1588. He married Rosina Wichser in 1613 and they had numerous issue wither: Hilarius, Barbara (Pfander), Maria (Streiff), Markus, Kaspar, Hans Jakob, and Anna. His son Hilarius was born in 1614 in Schwanden, Switzerland. He had three wives (at different times): Sara Tschundi, Judith Heer, Katharina Jenny. He left the following children prior to his 1690 death: Maria (Zopfi), Kaspar, Tobias, Markus, Rosina, Sara, Markus, Hans Kaspar, Hilarius, Hans Kaspar, Rosina (Schlittler), Jacob, Agatha, and Hans. His son Tobias was born in 1645 and later married Susanna Tschundii. They had numerous children: Hilarius, Melchoir, Kaspar, Sara (Freuler), Kaspar, Joshua, Markus, Samuel, and Hans Jakob. A one Charles Wild was born in 1857 in Louisiana. He married Mary Seibert in 1882 and they had four issue: Mamie, William, Pauline, and John Henry. Daniel Wild was born in 1817 in Holderbank, Switzerland. He married Barbara Zobrist in 1846 in Madison County, Illinois. They had the following children: Eliza (Spiers), Emma (Riehl), Anna, Mary (Luehm), Louisa (Hunziker), Henry, Albert Jacob, Betha (Hediger), and Caroline. His son Henry was born in 1854 in Highland, Illinois and married Hermine in 1880. They had eight childnre: Henry E., Alice, Erwin D., Nelson Albert, Gilbert R., Walter J, Julius, and Octavia T. His son Nelson Albert was born in 1887 in Missouri. He married Minnie Louise Bardelmeier and had four children: Nelson Charles, Rudolph H, Alice, and Beulah. The Lords of Wild were a noble Saxon family who also lived in parts of Franconia. 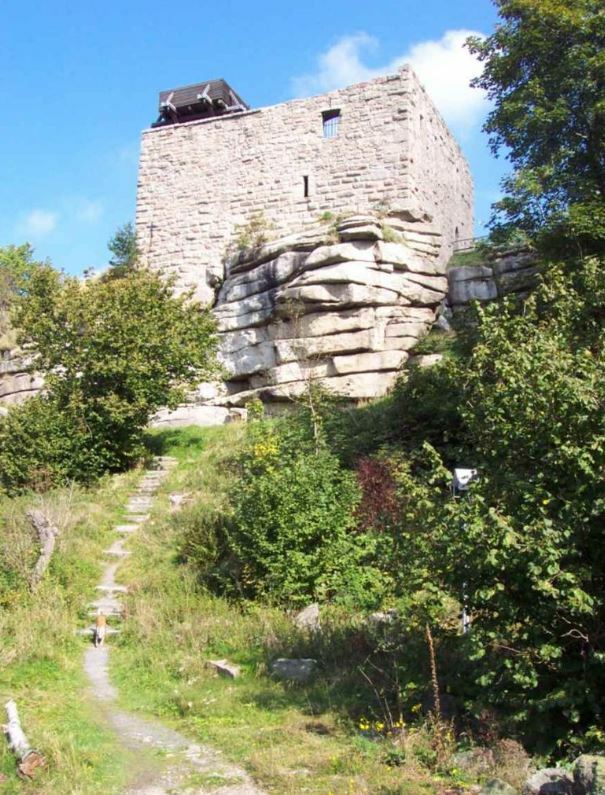 Along with the House of Sack, the House of Wild was enfeoffed (given land for service) with Epprechtein Castle in the fourteenth century. The two houses became vagabonds and robber knights (Raubritter in German), taking merchants hostage, mainly from Eger. They bore the following coat of arms: Azure a crescent or. William and Alice Wild came to New England from London aboard the Elizabeth in 1635. In the same year, a one Joseph Wild came to New England aboard the same ship. A Robert Wile or Wild came to Virginia from London aboard the Paule in July of 1635. Other early settlers include Robert Wild (Virginia 1635), William, John, and Joseph Wild (Boston 1635), Christopher Wild (Maryland 1655), John Wild (Pennsylvania 1703), and Joseph Wild (Nova Scotia, Canada, 1749). The Wild family motto is 1) Sur et loyal, meaning “Loyal and sure” 2) Aequaliter et diligenter, meaning “Evenly and carefully”, 3) Veritas victrix, meaning “Truth conquered”, and Tenir, meaning “Hold”. The first 14 arms listed on this page are from Bernard Burke’s General Armory of England, Scotland, and Ireland. Arms 15 through 45 are from the famous Dutch genealogist and heraldry expert Johann Rietstap’s book the Armorial General. Both books were published in the nineteenth century and are considered authorities of the topic of heraldry and surname coats of arms. The bottom of this page contains the blazons in both English (and some French), as well as some genealogical, biographical, and geographical notes about where the arms was found and who bore them. Later people bearing this surname that bore the arms: 1) Wild of London, , 2) of Strellet House, East Peckham, co. Kent, [1859? ], 3) Wild (Bagnall-), late Kirby, Ralph (B.A., Camb. ), of Costock, co. Nottingham, and Inner Temple, London, [1868, 4) Wilde, Baron Truro [1850, Charles Robert Claude Wilde], of Saffron Walden, CO. Essex, and Bowes, co. Middx. Arms, , Baron Penzance [6 April 1869, James Plaisted Wilde], of co. Cornw. Supporters, , and 5) of Long Whatton, co. Leic. (Edmondson’s Armory and Berry), quartering to Charles Townley, York Herald, and to Rev. James Townley, 4 July 1743. Famous people with this last name include: 1) Oliva Jane Cockburn or Wilde (b. 1984) who is an American actress and model, 2) Oscar Fingal O’Flaherie Wills Wilde (1854-1900) who was an Irish poet, playwright, and novelist remembered for his epigrams and quotes, 3) John Wilde (1919-2006) who was a painter known for Magic Realism, 4) William James “Jimmy” Wilde (1892-1969) who was a boxing champion from Wales, and 5) Earl Wild (1915-2010) who was an American pianist and leading virtuoso.